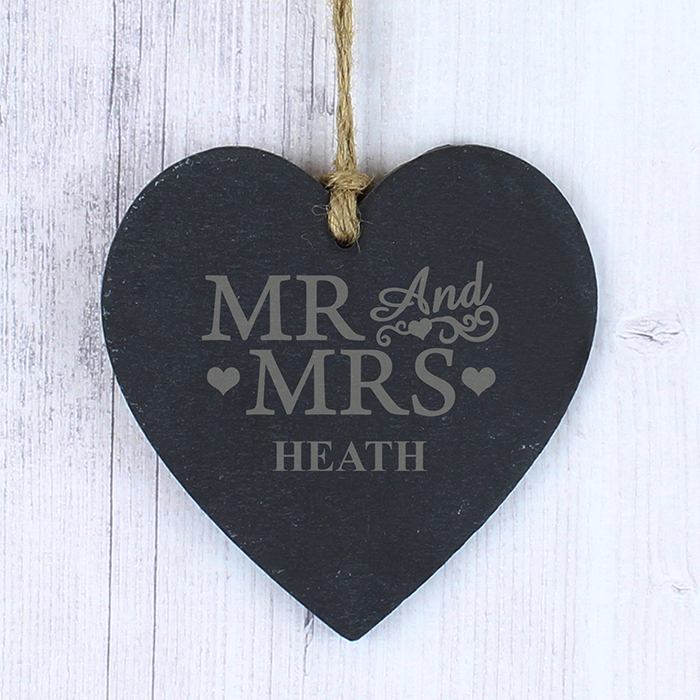 personalise this slate hanging heart for a wonderful couple with a surname using up to 12 characters. 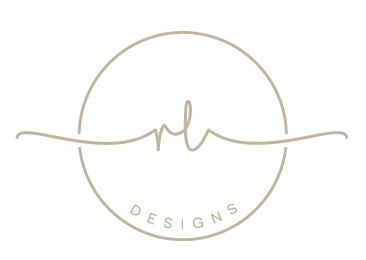 the design features the word 'Mr & Mrs' which is fixed text. 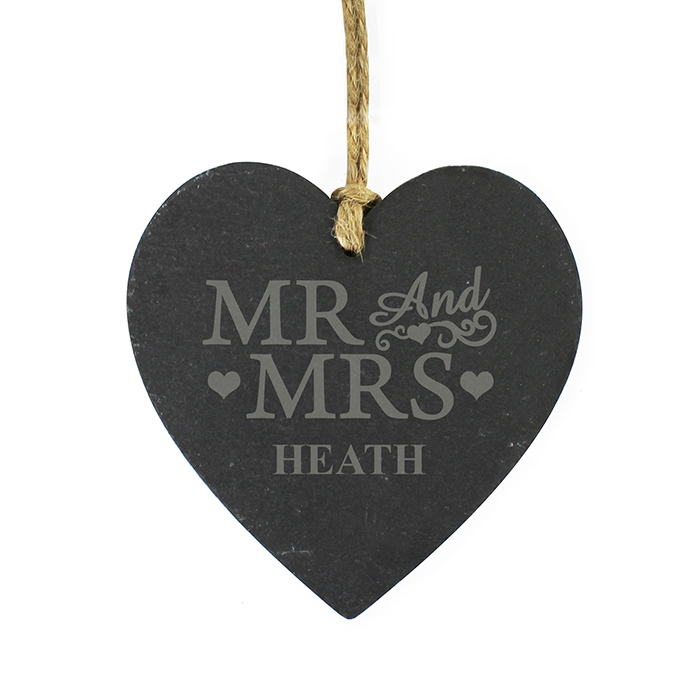 The heart has a piece of natural, rustic string which enables this item to be hung up.